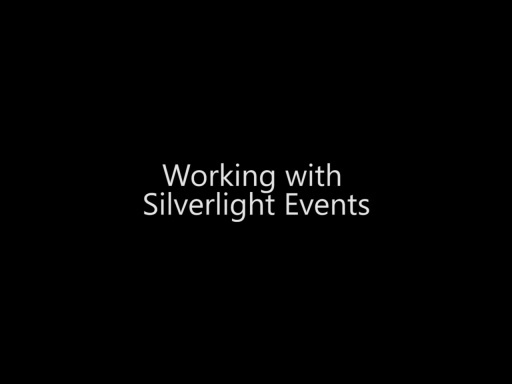 In this video, Bob takes you on a tour of the most popular Silverlight Input controls available for your Windows Phone 7 applications. He also shows you the important properties and events of each control. Controls include the PasswordBox, CheckBox, RadioButton, ListBox, and the ScrollViewer. Additionally, Bob makes the case for forcing yourself to write the XAML instead of relying on the Toolbox and Properties window as a means of helping you learn more about XAML and the controls. when retrieving the listbox item is it not simpler to write the following? 20:12 "...or we could have a switch statement just as easily." - How would one use a switch statement to determine which radio button in a group is selected? I for a second thought that a switch statement on a radio group would off been a piece off cake, but after playing with VS and trying to get it too work was actually more tricky than i thought. but if i was to have a number of selections that i started to play around with an array then came up with this. Again I'm new to C# and been a PHP Developer for about 2 years. But that is probably the best option i can think off for a few selections in a radio group. It's really a pain to actually understand some code parts with a video size so small. Download the High quality videos, they are 720p and the code looks perfectly fine on it. Or you could just download the code from the links given below the video. It's really a pain to actually understand some code parts with a video size so small.Great tutorials though. Yes, is there a way to get a better quality video stream? Even fullscreen I can only guess what he typed because I have past coding experience. See the downloads to the right? I've only used the WMV download for the duration of this course. I am having a pretty stupid problem, and i am breaking my head on why it doesnt work. Its a simple thing i am sure, but it doesnt fit in my head for some reason. I have 1 text block , 3 radio buttons and 1 button. all i want is to display current radio button selection/value in the textblock by pressing a button. here is my code so far. I have tried havimg Radio buttons in one group, in separate groups, but without luck. I wanna use combobox in my application. But there is no combo box control in toolbox. Is there any other way to use combobox in our application? And I want one new window(i.e, Page1.xaml) to be opened after clicking on the button. How do i do that?